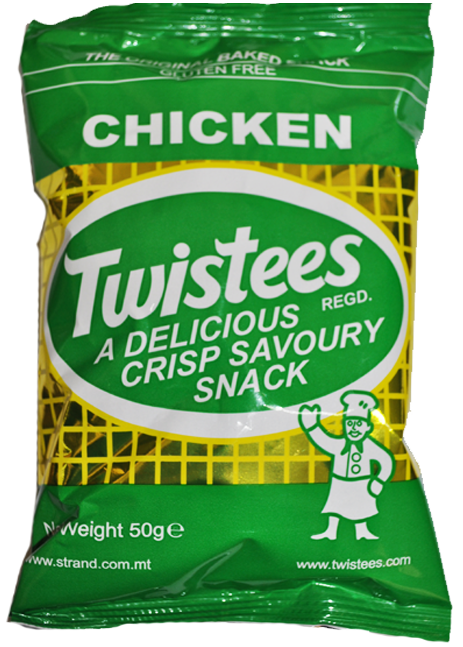 Chicken Twistees is a rice based product which has it’s own original flavour. It is a crunchy and savoury snack with a lovely cheesy top layer and a chicken after taste. 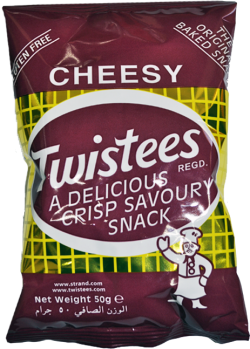 Chicken Twistees is packed in an air-tight and metallized bag to make sure they stay fresh! 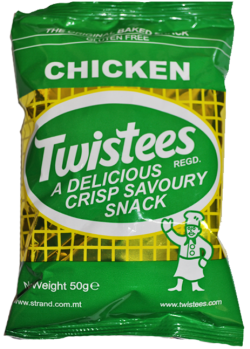 Chicken Twistees wieghts 50grms per packet and each box has 48 packets inside. This item is a rice based product, weights 50grms and has 48 packets in each box. 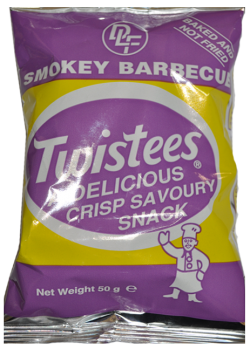 It is a combination of the Original Twistees with a Barbeque flavour. 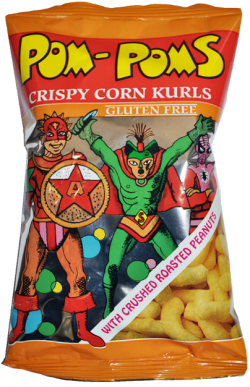 Pom Poms is a corn based product with a peanut coating. A packet weights 40grms and has 48 packets per box. Our Original baked snack which has been Malta's favourite for 50+ years is rice based and Gluten Free. Each packet weighs 50g and has 48 packets in each box. crafted by Cyberspace Solutions Ltd.